Black Friday deals don't have to be limited to actual physical items you can hold in your hand. Nexon America proves that even fake things can benefit from post-thanksgiving shopping madness. The online game operator has just revealed plans for special deals going on over Thanksgiving weekend in their popular MapleStory, Mabinogi, and Combat Arms titles. The adorable MMO platformer MapleStory will be discounting different items every hour during the course of their event, with limited quantities available per server to help simulate being trampled to death by housewives. Meanwhile, in Mabinogi, they'll be doing that same thing every two hours, along with a 5% discount on everything in the Item Shop during the event. Finally, Combat Arms players will enjoy various items at 20% off, including the Golden Mei female merc package, complete with gold-plated AK-47. Black Friday - It's not just for real crap anymore.Nexon America Delivers Black Friday Bargains Combat Arms, Mabinogi and MapleStory Offer Sale Items Throughout Thanksgiving Weekend LOS ANGELES – November 26 2008 – Nexon America Inc., a world leader in massively multiplayer online (MMO) games, welcomes bargain hunters to take advantage of Black Friday sales in three of its most popular games: Combat Arms, Mabinogi and MapleStory. 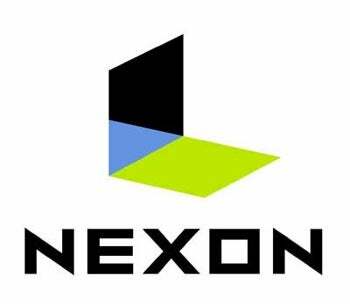 This sale rewards Nexon America’s millions of registered users with the opportunity to purchase Cash Shop items at a huge discount. Here are are the games and dates for each holiday sale: * Combat Arms – November 26-December 3 * MapleStory –November 28- November 30 * Mabinogi – November 25-December 5 Black Friday might not be an official holiday but it is in the MapleWorld, where users can take part in the popular annual sale, which offers a wide variety of exceptionally fashionable items at a discounted price for exactly one hour. There will be a limited quantity of these items sold per server so users will need to log in every hour to see what’s being offered. In Mabinogi, there will be a special sale on November 28, which features a single discounted item every two hours. This sale begins at 10 a.m. and there will be exclusive items featured during this program. Players will also get to enjoy a five percent discount on everything sold in the Item Shop throughout the entire sale. Combat Arms is discounting prices by up to 20 percent and offering various discounted package deals, including the Golden Mei Package, which gives users a discounted price on the female mercenary Mei and the gold-plated AK-47 so players can frag their foes in style.